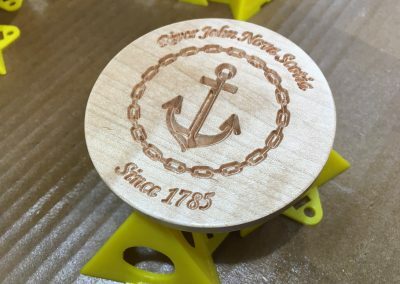 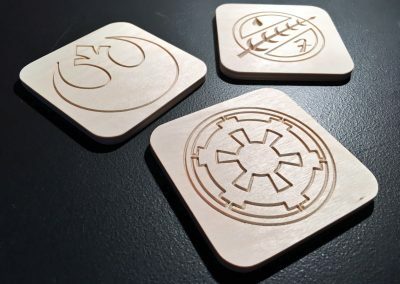 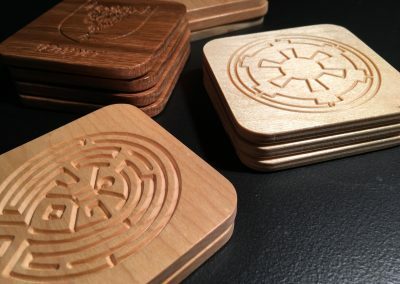 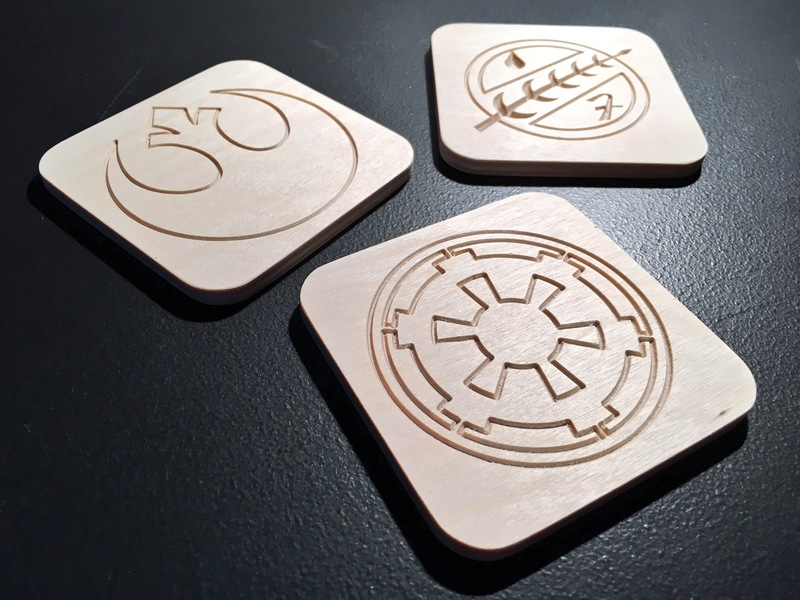 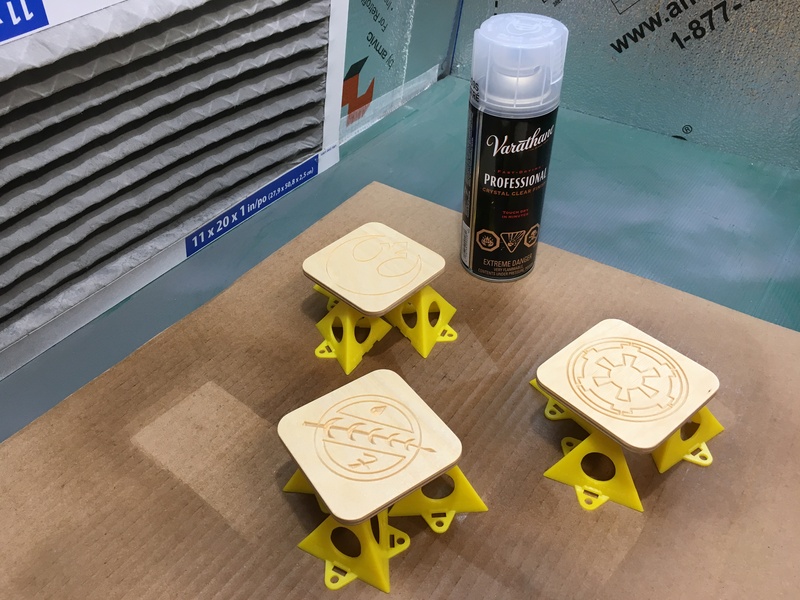 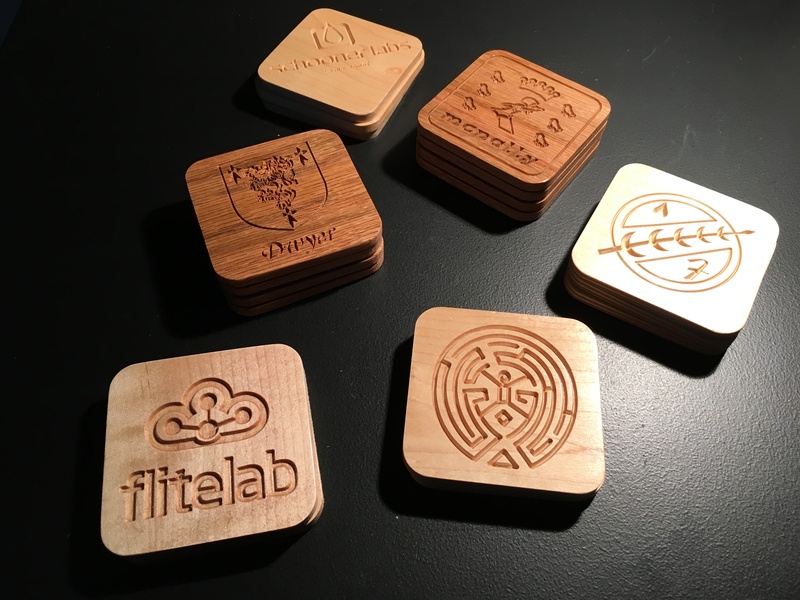 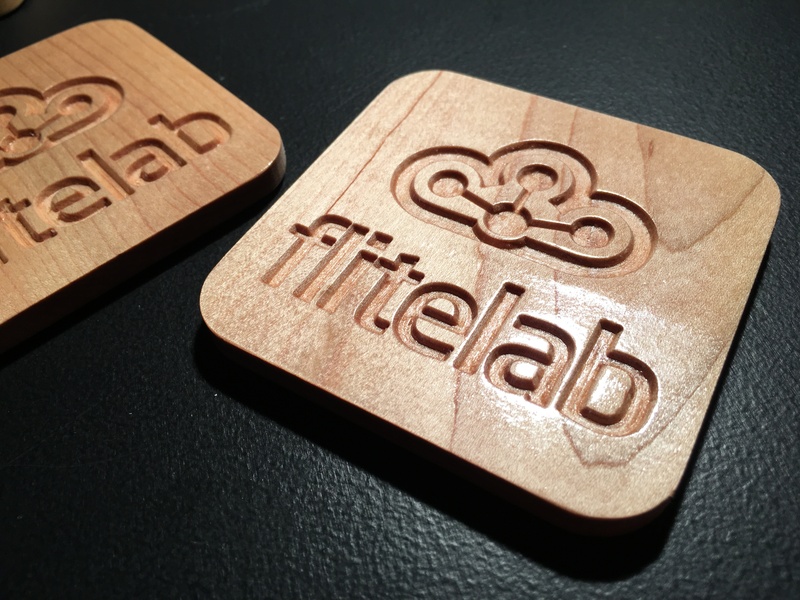 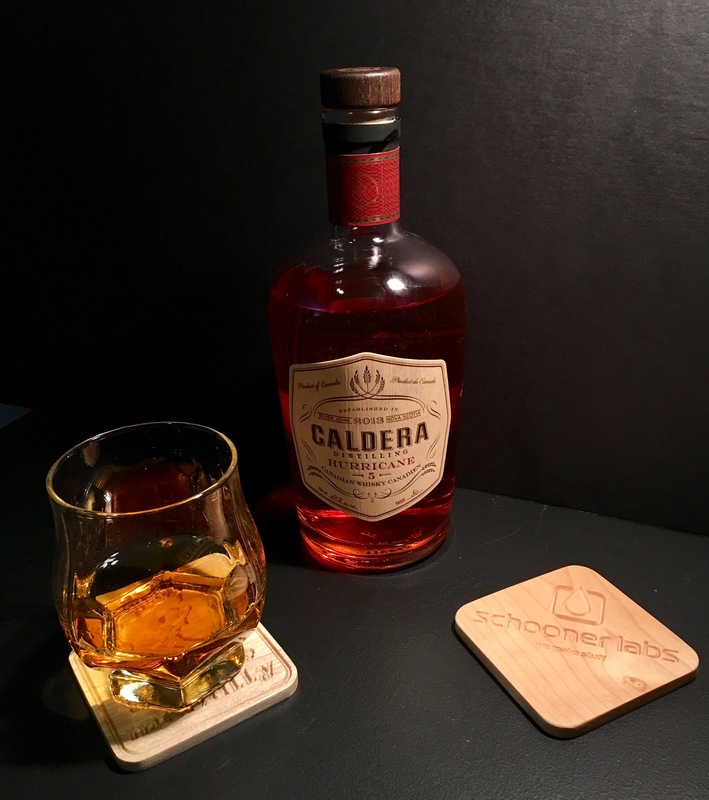 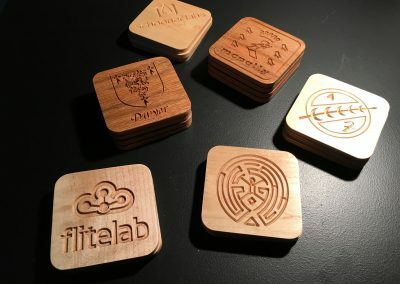 As part of our plans for potential products for resale, and to make better use of our CNC router, one of our current product developments are a series of custom drink coasters. 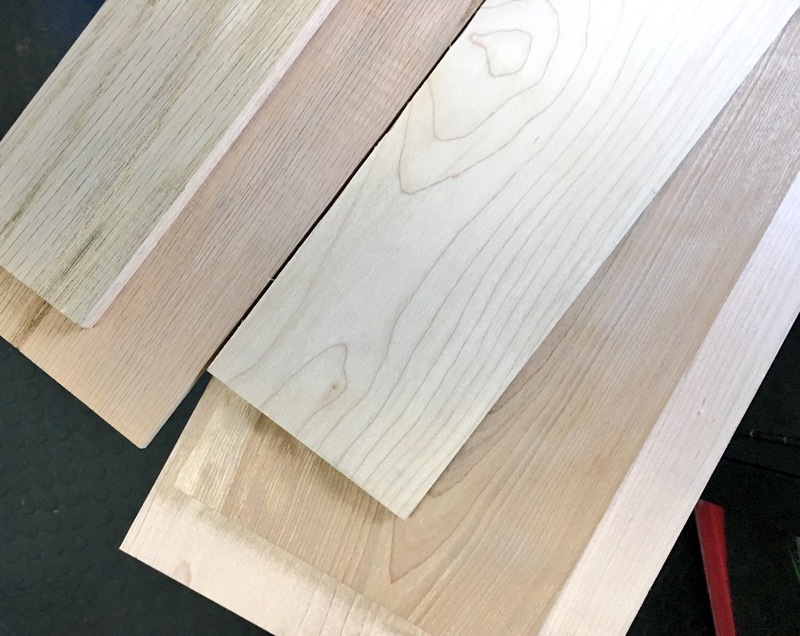 Currently we are experimenting with a variety of materials – solid woods such as maple, oak, birch, as well as plywoods. 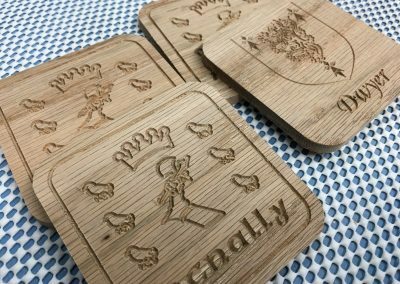 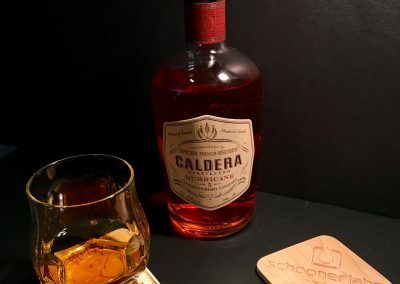 The issue with thin (1/4″) boards is they tend to warp due to variances in humidity, which can lead to an uneven coaster, which is not ideal for holding a glass solidly. 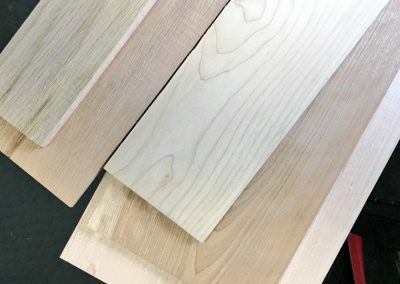 The plywood resolves most of this issue however the selection of wood is limited and you need to account for the visuals of the plywood layers in the design. 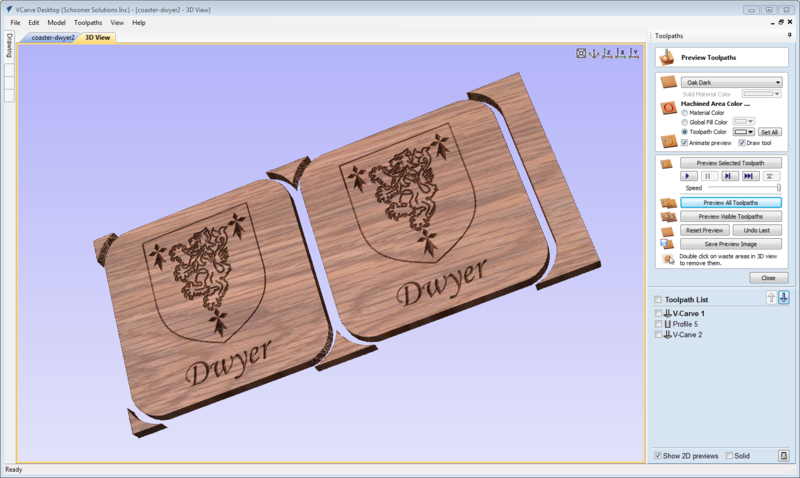 The primary layout and design is done using Vectric VCarve Desktop. 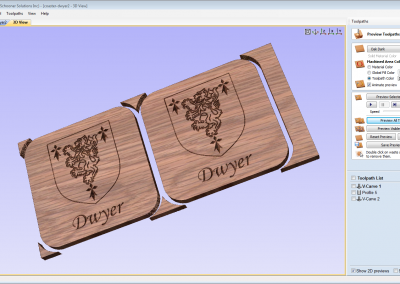 From there we export the tool-paths for processing in LinuxCNC on our custom router setup. 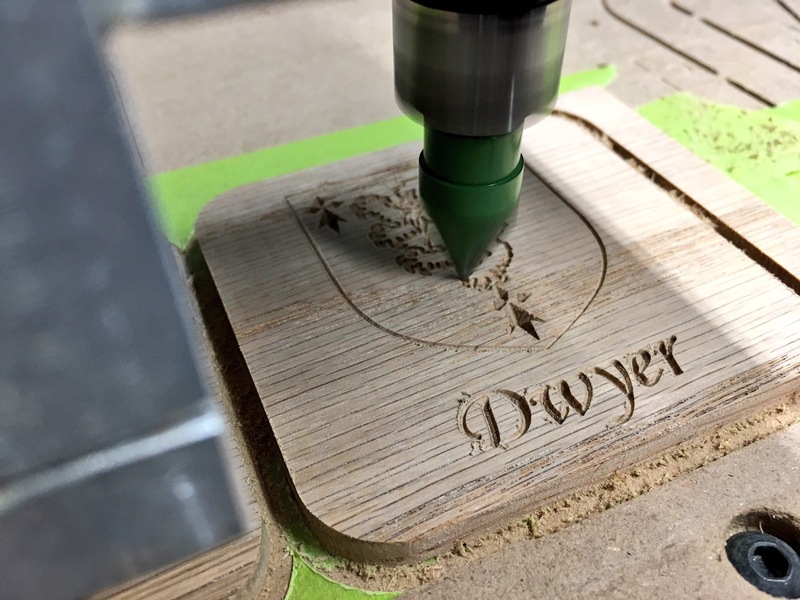 The cutting/carving is done primarily with a 60 degree V bit, and cutout with a 1/8″ endmill. 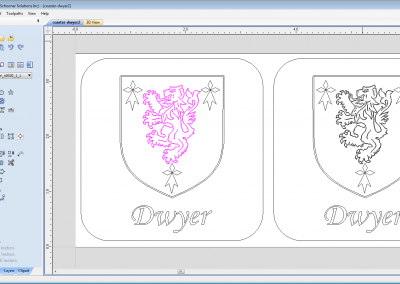 Further testing with ball-end bits will be done as well for pocketing and similar designs. 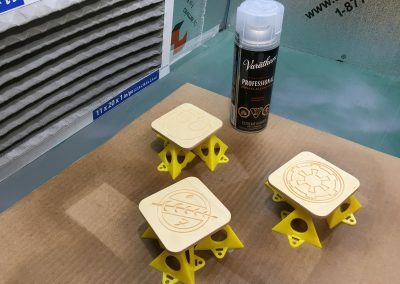 For finishing we have so far just been clear coating the natural wood, to give a clean subtle looking final product. 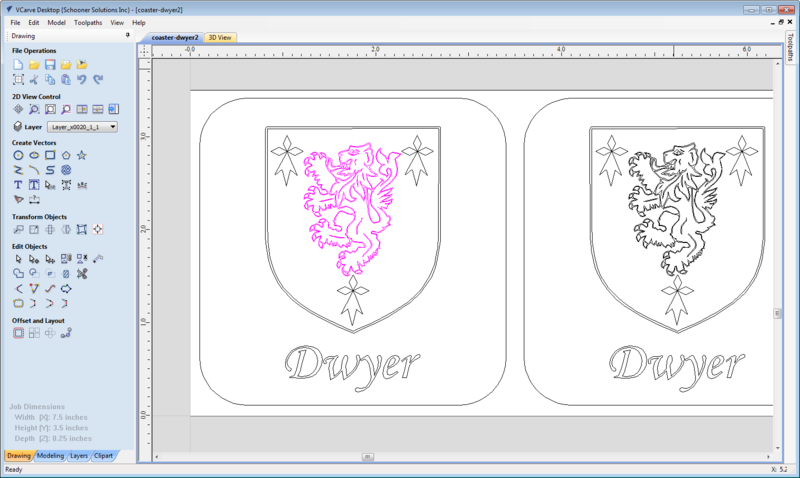 Further tests will be with painted infills and possibly bunt finishes to add contrast. Self adhesive felt pads are used on the underside to finish the coaster. 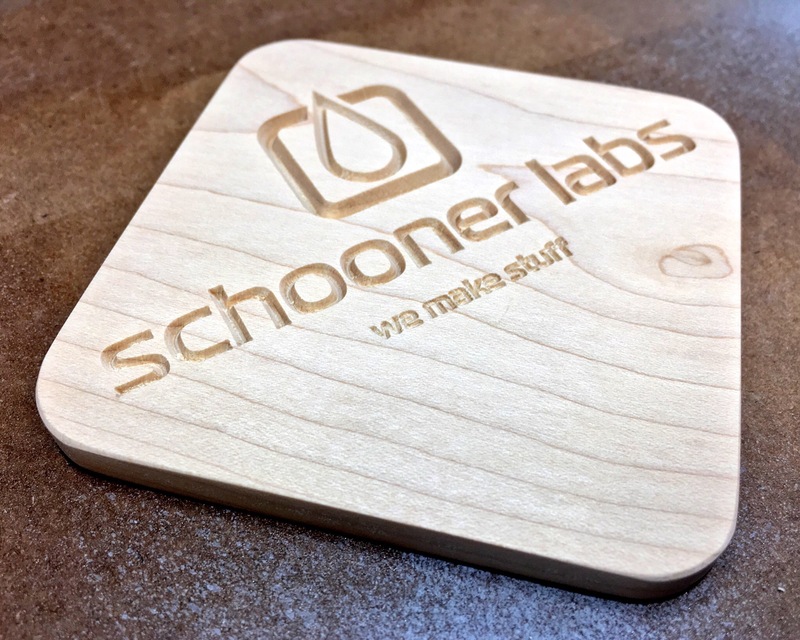 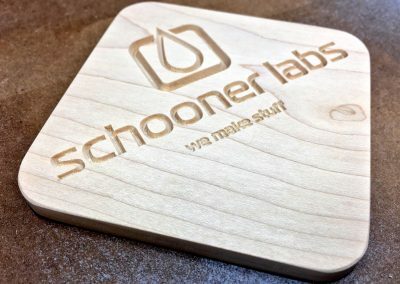 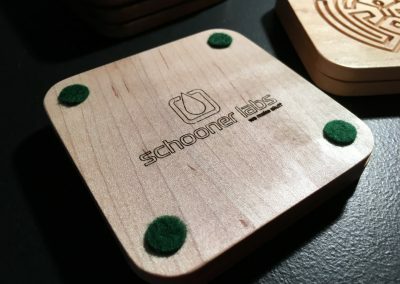 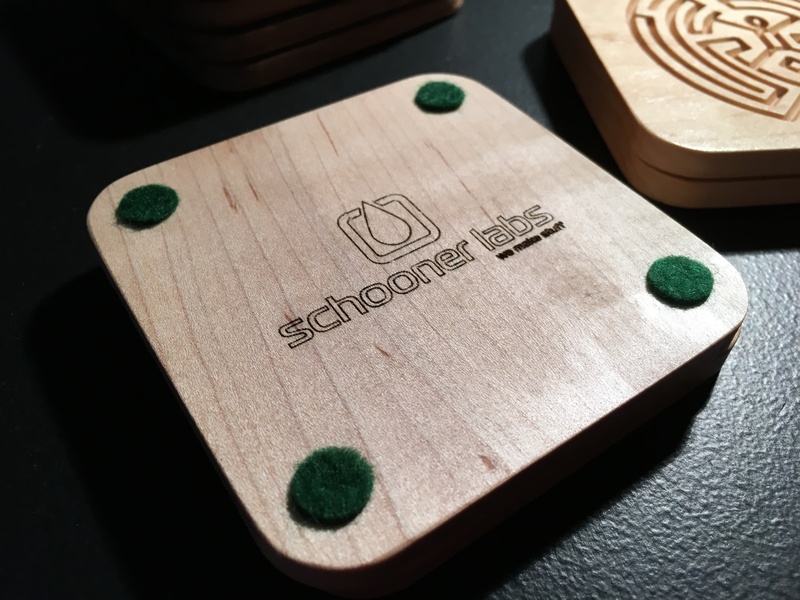 The schooner labs logo is etched into the back as well for branding with a laser engraver. 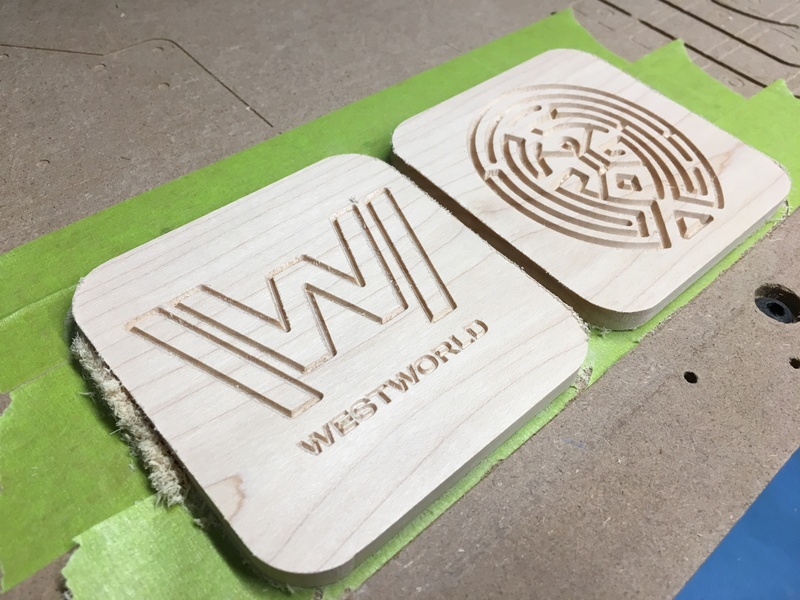 Once we have further testing completed the plan will be for small production runs for resale, both set designs as well as the option for custom commissioned pieces on request. 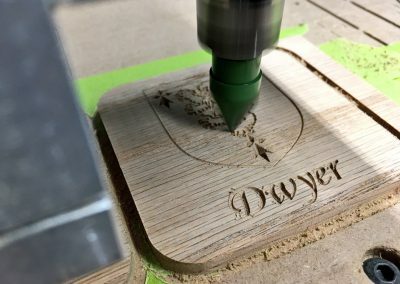 More to come as we continue the experimentation in CNC carving and try out new approaches and materials.